Pat thank you for this award. Thank you for all your heartfelt comments and loyal following of my blog. You are truly a Beautiful Blogger. I think that cooking is a labor of love…. I do hope you will go and take a look at them. They really deserve their awards and your visit. Thank you again Pat for your kind nomination. I will do my best to be a Beautiful Blogger! 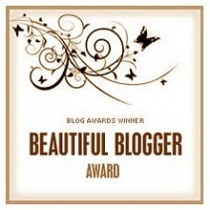 Congratulations for a very highly well-deserved award for your beautiful blog! Congratulations again! And thank you so much for the mention! Tersia, you are too sweet! Of course I accept the award! Thank you, and congratulations on your award as well. I hope all is well with you and your family, as I continue to keep you all in my prayers.